Pete Carroll and his players owned the 2013 season, but it is always worth a bucket of popcorn to sit back and watch John Schneider attack each off-season. Nobody scours the landscape for ways to improve his team more than Schneider. The pressure only increases now as he becomes the victim of his own success and must sign some of his early additions to large deals. That leaves less margin for error when it comes to free agent spending and hitting on draft picks. Not everything fell exactly into place this past off-season, but some important new talent was added to the mix. The biggest accomplishment of this offseason will largely go unnoticed. Schneider had to sign Thomas to a new deal in order to have the leverage he needed to eventually sign Sherman. There was a very real chance the franchise tag would come into play if Sherman was not amicable to an extension, and that would have been an ugly situation. People talked a lot about Marshawn Lynch holding out for a few days. We very well could have been looking at a Sherman holdout for all of camp. The animosity could have cast a shadow over the team, and made for a very rocky start to the year. Instead, it was gumdrops and rainbows as the Seahawks trotted one player up to the podium after another and totally overachieved by extending three of their hardest working and most talented youngsters. Everything else they did pales in comparison. Getting both Sherman and Thomas to sign before being forced to use the franchise tag was not something I would have predicted, and all parties deserve a ton of credit for making it happen. The other massive success of the off-season was re-signing Michael Bennett. He was arguably the most important player on the league’s best defense after Thomas. His versatility, productivity and consistency were foundational to almost everything Seattle did. They nearly hit a home run by getting Jared Allen to agree to a small-ish deal, but he eventually relented and went to the Bears. Kevin Williams was a terrific late addition who could be a pivotal player in determining just how good this 2014 defense can be. Bringing back Tony McDaniel and Steven Hauschka was big, and re-signing O’Brien Schofield is looking increasingly wise. The only players the Seahawks made some attempt to keep who ended up leaving were Golden Tate and Walter Thurmond III. The team more than made up for the Tate loss in the draft and by extending Baldwin. Thurmond was a long shot, and ended up finding a starting role he deserves. The draft has already produced one starter in Justin Britt. Even if the jury is out on how good he will end up being, it is a great sign to see him ascend so quickly. Cassius Marsh is also a lock to be in the defensive line rotation, and may end up being the most valuable addition from this draft class. Both wide receivers will be players in this league. Their ceilings are not yet clear, but early signs are promising. The rest of the draft looks thin, including a disappointing preseason from Kevin Pierre-Louis. Schneider has made a habit of drafting at least one Pro Bowl player in each draft. He did it in 2010, 2011, and 2012. The 2013 class is looking like his thinnest by far, but there are some possible hits in the 2014 group. Seattle made the necessary moves to keep the core of the roster together. They sprinkled in some good young players via the draft, but the sparse 2013 class is weighing on the roster, especially at defensive line. Next April’s draft will be a key in determining just how long this team can be dominant versus just being really good. 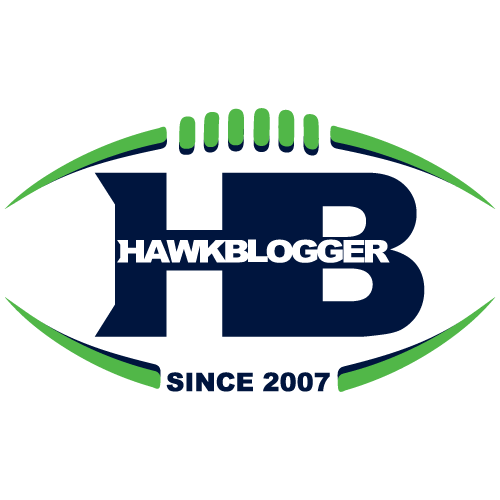 Next up in the Hawk Blogger 2014 Seahawks Season Preview will be a look at how the offense is coming together.